Today was another morning that I went outside to run some errands. I used to never do much in the morning, but it's been so hot lately that it's the only way to survive. I left the house a little after 9AM to get my impronte digitali (fingerprints) for my cittadinanza italiana (Italian citizenship). Because the local questura (police station) is only open to the public in the mornings three days a week, I decided to go to the main questura in via Zara. When I left the house this morning, I noticed something very different: the city was bursting at the seams. I couldn't help but notice that a lot of people had returned from their holidays this weekend. From last week to this week, it seems as if the city suddenly woke up. Shops in via dei Neri that were closed were now open, there were more people in the streets speaking Italian, and cars and motorini (scooters) were all around me while I was riding my bike through the city. I think that one of the reasons that I love living in Italy is that I am constantly learning new things. When I was in England and I had to choice of returning to France where I felt at home for six years or to go somewhere else, I opted for a new country. I had wanted to learn Italian for years and just felt that I had finally arrived at the right moment in my life to do so. I was single and working freelance already so nothing was in my way. One thing that I have learned is that I should never let anything stop me because there is more than one way to achieve a goal. I was pretty upset when I was told by the Italian consulate in the US last February that I did not qualify for Italian citizenship because my nonno (grandfather) was an American citizen when my father was born. The other day while looking for information about the requirements for renewing my permesso di soggiorno (permit to stay) I found that I might still qualify for Italian citizenship. A little past 7:30PM today, there was a ring at my campanello (doorbell). I usually don't answer my door unless I know someone is coming over. I popped open the window and looked down to see a man standing there with a small stack of papers. I yelled down to him, "S�? (Yes?)" "Gallo?" he asked. I knew it couldn't be a delivery because I wasn't expecting anything. He told me he was from the polizia (police). "Viene su? (Are you coming up? )," I said. He said he wasn't coming up, but that I needed to come down. "Mi porti anche un documento per favore. (Please also bring a document.)" Bari and I had decided the other day that we would take a train ride to Prato to have lunch. Neither one of us has ever been to the centro (downtown area) of Prato and thought it would be fun. I told Alessandro of our plans and he said, "Che ci fate a Prato?" 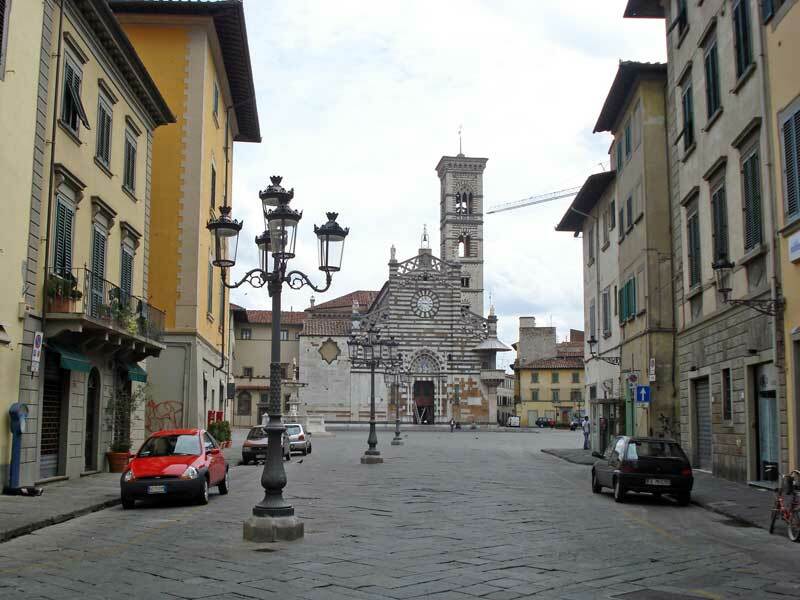 (What are you going to do in Prato?) I explained to him that because they have such a high population of Chinese, we thought it'd be fun to go there to eat at a Chinese restaurant. Most Florentines seem to consider it a place not worthy of visiting, but we were determined. 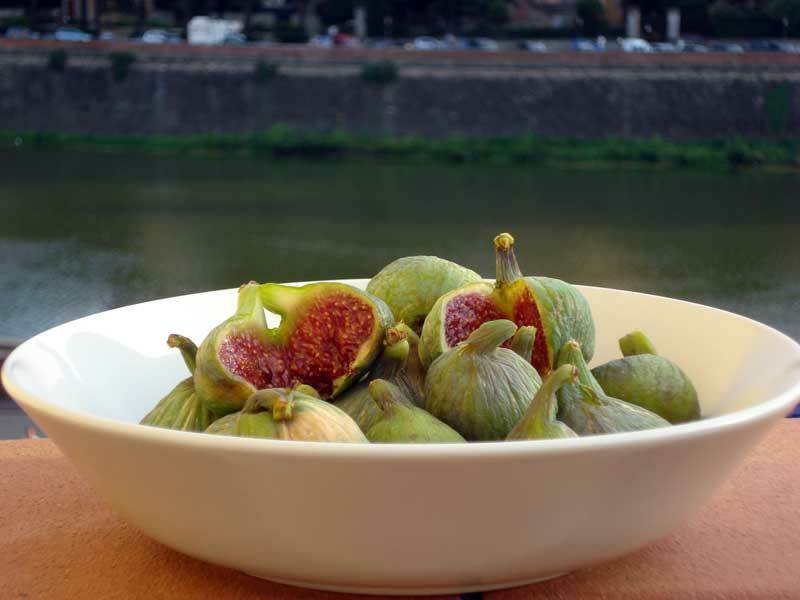 I had tried to eat fresh fichi (figs) last year and bought a few. I must not have picked well because I didn't like them at all. I couldn't understand what all the fuss was about. I've had dried fichi, which I like quite a bit, but the fresh ones didn't seem like much to me. This last Wednesday, I went to Alessandro's parent's house for lunch and his mom put out some fichi for me to take home. I ate one to be polite while I was at their house, and finished all the other ones they gave me as soon as I got home. For the past month or so, I've been busy with work, getting settled into my new apartment, and worrying about which path to follow for staying in Italy legally. So, today it was wonderful to finally take in my city again with a girlfriend of mine. I felt as if I hadn't been able to enjoy my city except when I look out the window at the Arno during the day. This city this morning was incredibly quiet. I heard only one car go by before I got out of bed. Alessandro and I ran along the Arno and then a small stretch in San Niccol�. We saw very few cars driving around, and hardly anyone was walking in the streets either. 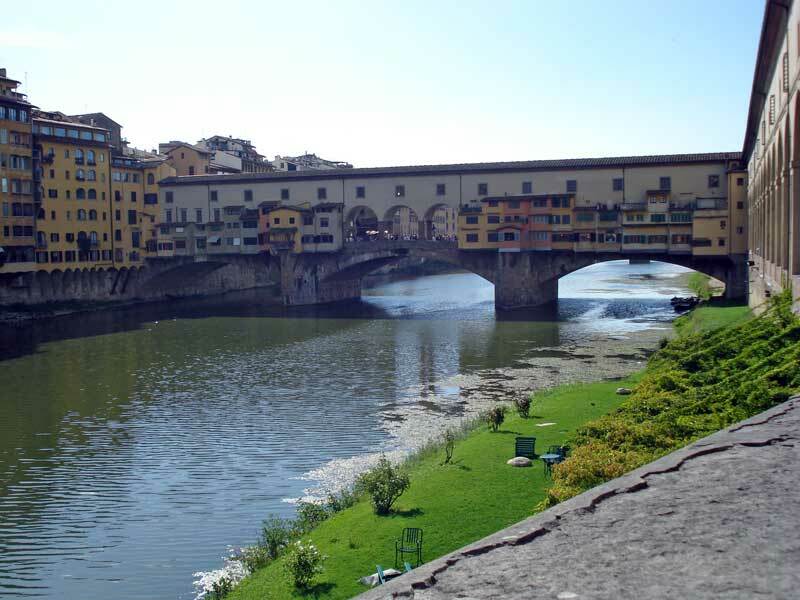 I crossed Ponte Vecchio alone while he ran on to the next ponte (bridge). This time I wasn't alone, the tourists were enjoying the city and snapping photos. My avvocato (lawyer) promised me last Friday morning that he'd call me on Monday. He told me that he was going to fissare un appuntamento (make an appointment) with a woman at the Questura (police department) to get a nullaosta (permission/permit) from her so that I can request a new visto (visa). Unfortunately, he hasn't called me and this being ferragosto (mid-August holiday), he probably won't contact me until next week. Since I've been working freelance for the past 6 years, I rarely take any days off without my computer. Any time I am at home is time that I could spend working on my client's projects. But, today I decided it'd be good to take a full day off from work since Alessandro wanted to go and visit his friends in Corno alle Scale. For fear of the predicted rain that never came, I went to the mercato (market) this morning while the sky was clear. I hadn't been to the mercato in a while and even though it's not that far from my new apartment, I wanted to take my bicicletta (bicycle) because I didn't get to ride it at all yesterday. I have a handy cestino (basket) in the front of my bici (bike) so I knew I could buy as much as I could normally carry. The day started out sunny and warm. I even thought it was going to be hotter than the past few days because the air was quite heavy and humid. 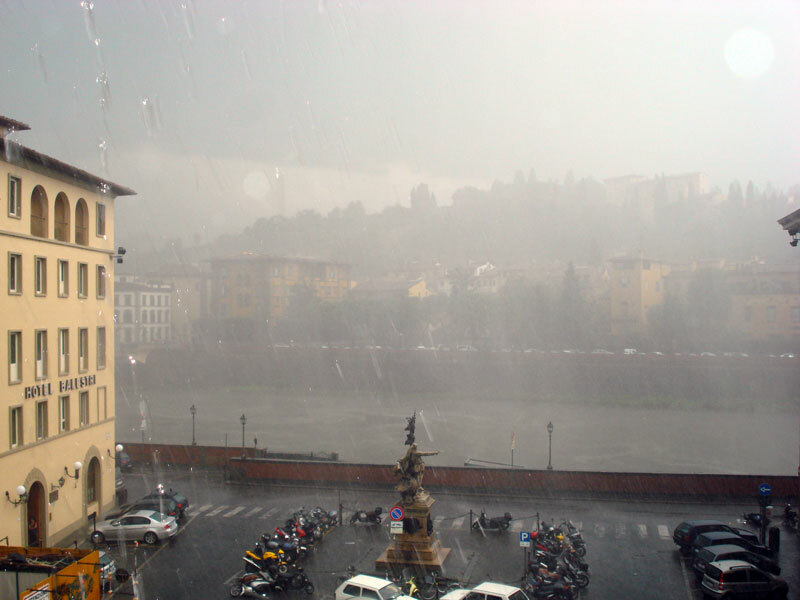 But right after lunch a temporale estivo (summer storm) broke out. I closed all the windows just in time, but water slipped through and was coming into the apartment. My staircase looked more like a water fountain for a few minutes as water gushed in through a window from the terrazza. 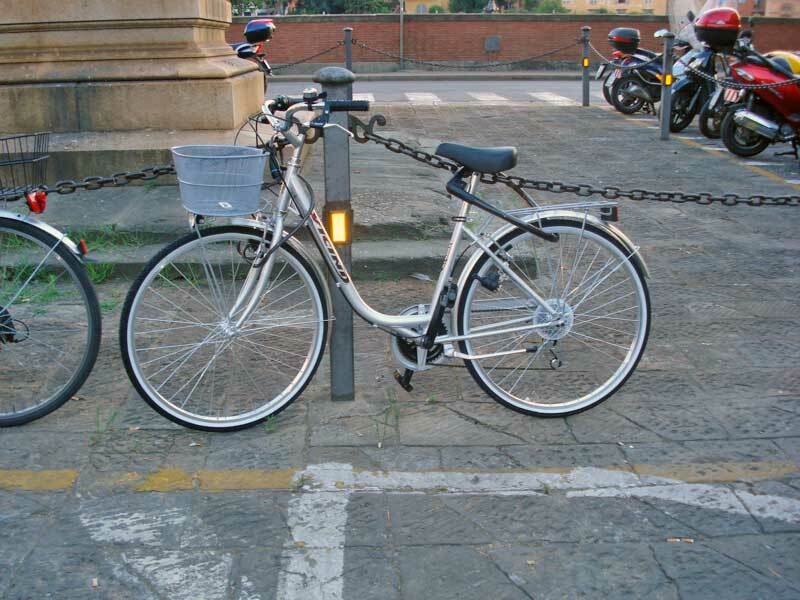 Many of my friends have been telling me to get a bicicletta (bicycle) because it's so efficient to get around il centro (the downtown area). I have been against it for a long time because it doesn't seem that safe and their constant bell ringing can be a bit much when you're walking around. But, these last few months I have thought it�d be a nice change. I grunted when Alessandro told me at midnight last night that he wanted to go for a run at 6:30 this morning. I knew it would be nice to run along the Arno before the city fully wakes up. And, because my palestra (gym) is closed for the next two weeks in the morning, I figured it'd be good for me to change my routine a little bit and run outside. I woke up this morning and went immediately to the terrazza (terrace) to look out at the Arno river and see the top of the Palazzo Vecchio. I love being able to get a glimpse of my city in the morning. On Sundays, there aren't many people outside and the city is rather quiet, so it's a true pleasure to be up on the terrazza to look out at the parts of the city that I can see. Is it my lucky day? My avvocato (lawyer) has been trying to meet up with a woman at the Camera di commercio (Chamber of Commerce). The first woman we saw, Signora B. went on vacation almost three weeks ago. She told us to try to meet up with the head of the department, Signora T. to get the signed copies of two documents for me.